Put your favorite music on display in a whole new way. 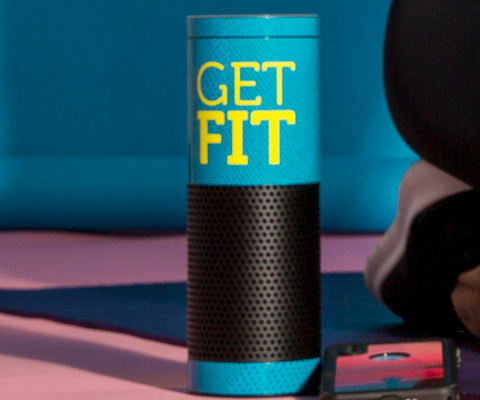 Further enhance your Amazon Echo and Echo Dot with a custom premium vinyl decal skin from Skinit. Design a custom Echo decal skin now that showcases your favorite moments. Further enhance your Apple audio device with a custom premium vinyl decal skin from Skinit. Design a custom Apple decal skin now that showcases your favorite moments. Powerful sound deserves a powerful statement. Create a custom Beats by Dre skin that will take your favorite playlist to the next level. Design a custom premium vinyl decal skin that perfectly fits your headphones and showcases your style. You have the latest Google Home, now let it stand out in a bold way with a custom vinyl decal skins exclusively from Skinit. Create and design the perfect custom Google Home decal skin that best suits your personality and style. Customize your Microsoft Surface Headphones with a custom vinyl decal skin from Skinit. Design a custom decal skin for your Surface Headphones that showcases your style. Customize your Bose headphones and speakers that fit your personal style. Create your own decal skin for your Skullcandy Headphones - make a design that perfectly suits you and your unique sense of style. Design your own custom audio skin online and create a design that's best suits your personality.